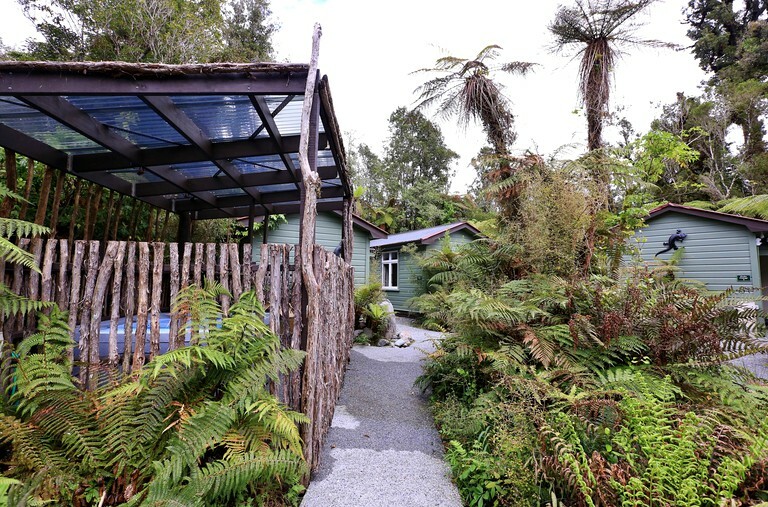 This charming, cozy, and historic cottage is located by Franz Josef Glacier, New Zealand, and can accommodate two guests, making it perfect for a romantic getaway. It has one studio-style bedroom/living room and one bathroom. In the bedroom/living room, guests will find a king-size bed flanked by nightstands and lamps, a sofa, a television, and a snack/refreshment preparation area with a mini-fridge, a microwave, a toaster, and equipment for making tea and coffee. In the bathroom, they will find a shower. 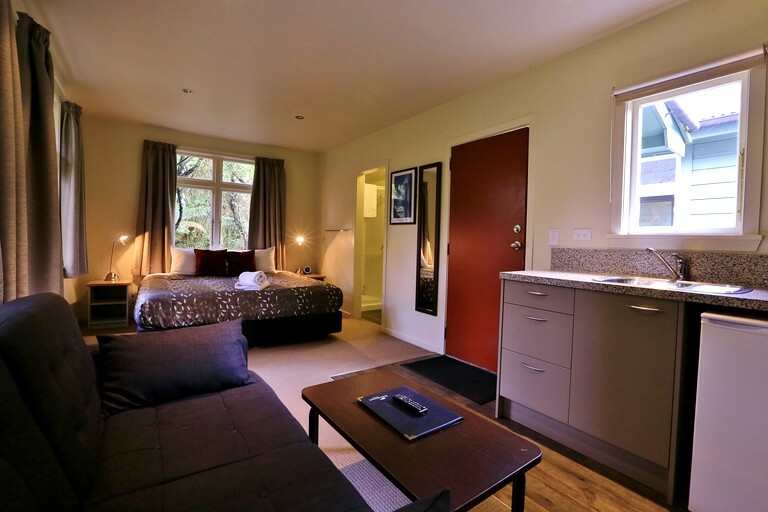 Other amenities include Wi-Fi, Sky Digital television service, heating, a hairdryer, and daily room service. At the site, guests will find a large spa pool, a Scandinavian sauna, an all-weather barbecue area, Wi-Fi, a commercial laundry, a playground, a tour desk, 24-hour reception, free parking, and a general store, along with a restaurant and a bar featuring a lounge and a large fireplace. At the restaurant, guests can choose from a variety of appetizers, tapas, gourmet pizzas, gourmet burgers, main courses, and deserts. 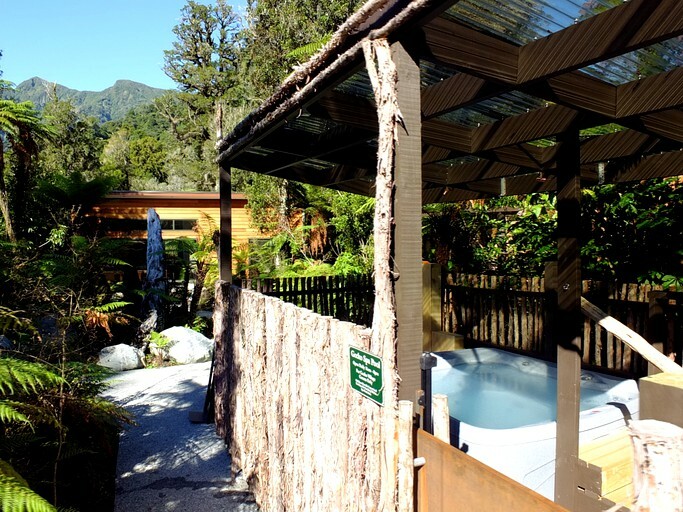 Surrounded by the lush vegetation of temperate rainforest trees and punga ferns in the heart of Glacier Country, this glamping site is conveniently located in the center of Franz Josef Village, New Zealand. 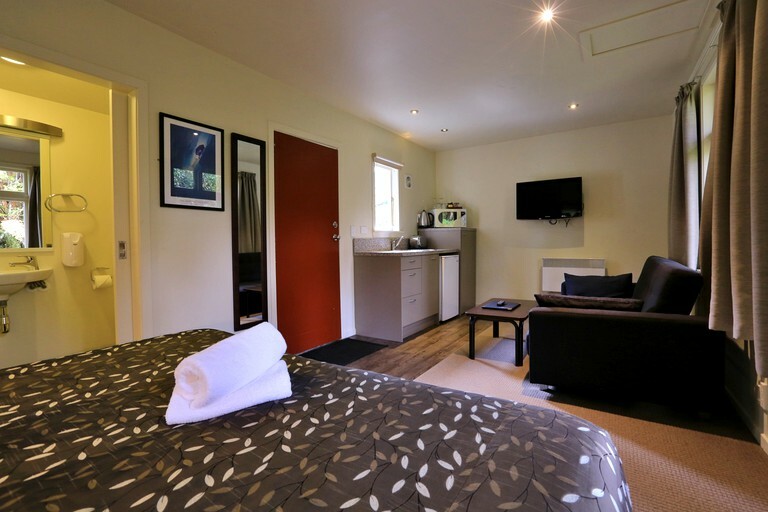 Here, guests will be within a few minutes walking distance of the town's grocery store, shops, cafes, restaurants, sightseeing services, and tour companies, while also just being a few minutes from Franz Josef Glacier and within a half hour's driving distance to the many attractions and activities to be found within the Te Wahipounamu World Heritage Area. The glacier is a part of Te Wahipounamu park, and together they form an official World Heritage Site, which is one of the most famous attractions in the region. Extending over seven miles and dating back more than 7,000 years, the glacier is truly a sight to behold—and guests can do so in a variety of ways, whether by guided or unguided hiking tour, ice climbing tour, or helicopter tour. 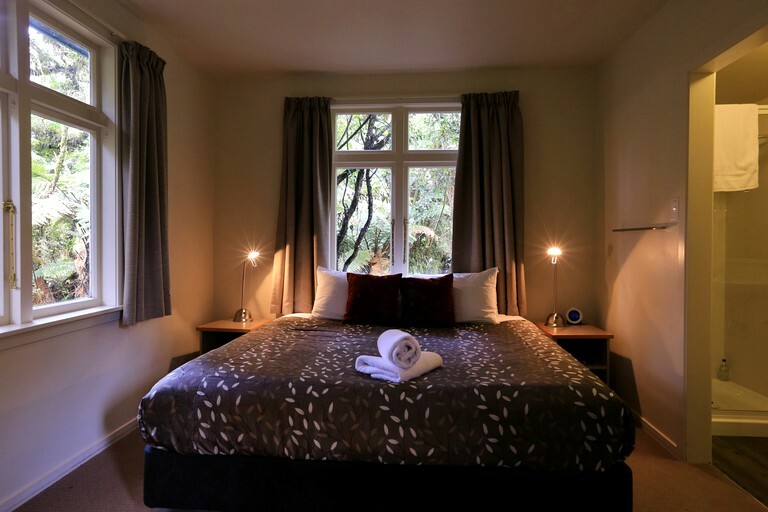 To the south, guest will find Westland Tai Poutini National Park, which contains 454 square miles of pristine forests, glaciers, tussock grasslands, lakes, rivers, wetlands, beaches, and snow-capped mountains. 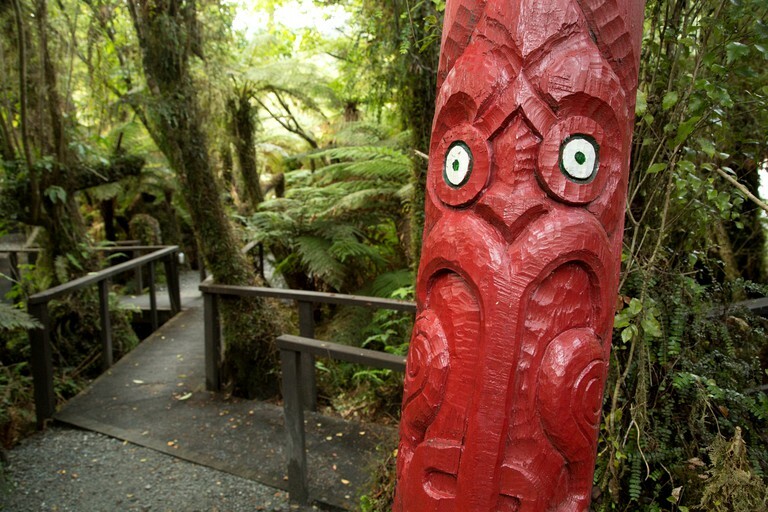 It is also filled with a wide-range of flora and fauna, including the rarest species of the already rare kiwi bird—the rowi—of which the only surviving natural population in the world can be found in Ōkarito Forest. 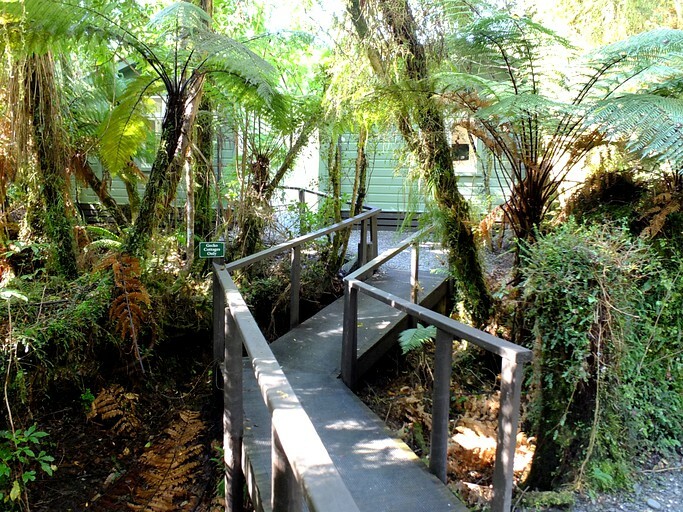 At Westland Tai Poutini National Park, guests can go hiking, bird watching, mountain biking, mountain climbing, hunting, kayaking, and canoeing. At Lake Mapourika, they can go picnicking, fishing, kayaking, and boat cruising. From skydiving to horseback riding, there are many more outdoor activity options to choose from in the surrounding region. 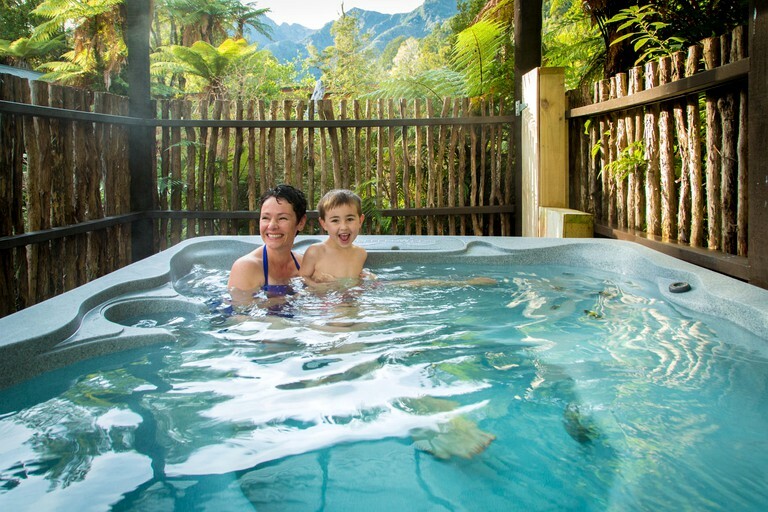 At Franz Josef Village, guests can shop, dine, and drink at a variety of cafes, restaurants, bars, and stores. 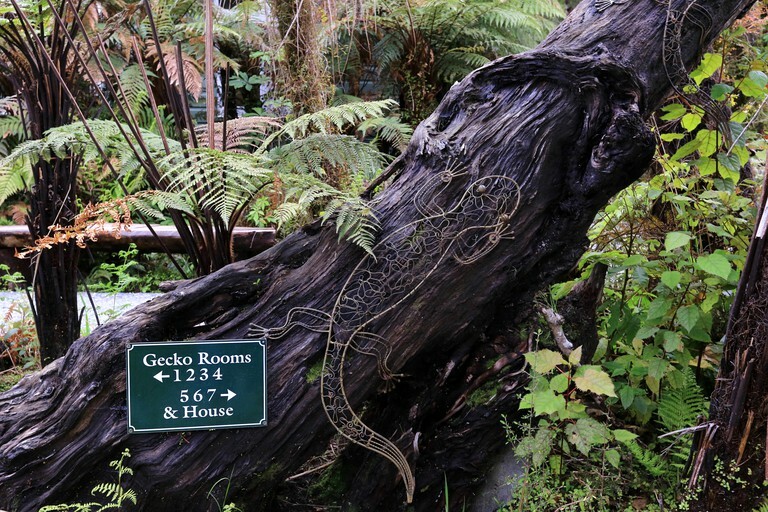 Last, but certainly not least, they can visit Franz Josef Glacier and go on a variety of guided and unguided hiking tours, ice climbing tours, and helicopter tours. Pets may be accepted with prior approval from the host.